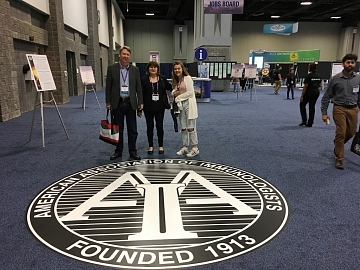 The annual conference of the American Association of Immunologists was held in Washington on 12–16 May 2017. Executive Director of Russian-American Anti-Cancer Center under Altai State University, Candidate of Biology Andrey I. Shapoval participated in the event. 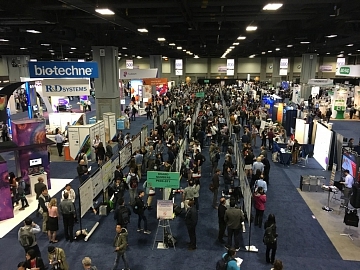 The prestigious forum for immunologists gathered together over 5,000 specialists from the United States of America, Germany, Israel, Canada and Japan. Leading scientific centers that carry out research on control of immunologic diseases are situated in these countries. Andrey I. Shapoval noted that a lot of reports were dedicated to the regulation of immune response. This topic is studied by Russian-American Anti-Cancer Center as well. In particular, the next step of the center’s scientific activity is a project entitled “Development of New Immunomodulatory Prototype for Cancer Therapy”, which received a grant of Innovation Promotion Fund and financial backing of the Russian Ministry of Education and Science. It is not cancer diagnosis with the help of immunosignature anymore, but cancer therapy with the usage of peptides placed on microarrays. 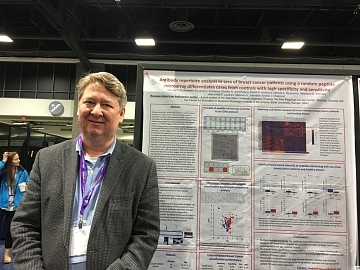 “For the present moment scientists are interested not only in immune diagnosis of oncologic diseases, but also in development of medical products for immunotherapy of cancer. It is one of the main work directions of the Anti-Cancer Center at Altai State University,” Andrey I. Shapoval summarized.